Domaine Christophe Buisson’s home base is in the amphiteater-like appellation of Saint-Romain, one of the village appellations of the Cote du Beaune located in the hills behind Meursault. Christophe Buisson farms organically and believes in meticulous work in the vineyards, minimal racking and pumping, no chaptalization, limited to no use of sulfur, and gentle bottling with no filtration or fining. These are very naturally made wines that capture the essence of Burgundian terroir at its best. 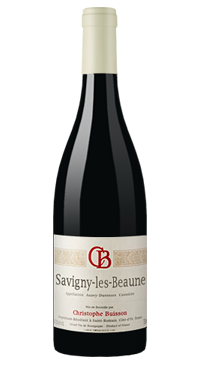 This Savigny les Beaune comes from Villages appellation vineyards that grow on marl, sandy and limestone soils. The grapes are hand harvested and the wine is aged for 18 months in neutral barriques, bottled unfiltered and unfined. The nose expresses notes of red fruit like cherry and raspberry with underlying spices and light wooded notes. The palate has lots of ripe fruit flavour with a fine silky texture and a liveliness on the finish. Drinking well three to five years from the vintage.